Twenty-five (25) key success factors are put forward. One of them is leadership and vision. 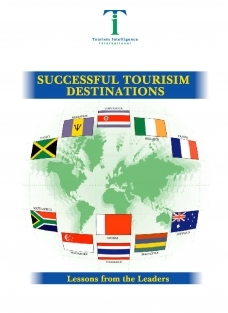 Without a doubt, a major contributing factor to the success of ALL tourism destinations analysed, is the existence of peace and political stability, the absence of war and terrorism. From peaceful and democratic traditions in Australia, Singapore, France, Mauritius, Costa Rica and Barbados, to benevolent monarchs in Thailand and Dubai, all of these destinations have benefited from decades of consistent peace and political stability.